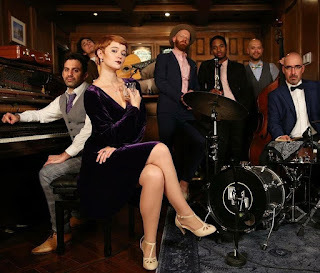 After at least 3 national and international tours, 3 top singles including "Someone That I Used to Know" which reached number 10 on the iTunes jazz charts and so many memorable live music moments, it's safe to say there is some sort of magical chemistry between Hannah Gill and music collective, Postmodern Jukebox. Hannah Gill has made a name for herself as one of the most original independent pop acts New York has ever seen. Emerging only a few years back with her debut single, "I Feel Awake", Hannah Gill has amassed a sizable fanbase that is always keen to hear from her and see her live much like PMJ, a rotating music collective founded by arranger and pianist, Scott Bradlee who is also from New York, back in 2011, around the same time Hannah made her debut. This week we got news that the two sensational world-class independent acts got together again in Los Angeles and Hannah has promised there is something special on the way. Details to come soon.